West Linn announced May 18 that Terry Kruger will be its new chief of police. Kruger, a native Oregonian and longtime West Linn resident, spent 28 years with the Portland Police Bureau before retiring in 2016. At that time, he was serving as adjutant lieutenant to the chief of police. Kruger will begin his tenure June 4 and his annual salary is set at $125,000. "I am pleased to announce Mr. Kruger as the West Linn Police Department's newest leader," City Manager Eileen Stein said in a press release. "As a longtime law enforcement professional, a 25-year resident of West Linn and a community-minded individual, Mr. Kruger surfaced as the ideal candidate for the position." The City received 47 applications over the course of about two months, eventually narrowing that group down to six and later two: Kruger and Beaverton Police Captain Jeffrey Williams. "The final process involved interviews with the city manager and police department command staff. In addition, a public reception was held where the two finalists answered questions before an audience of over 50 people who were invited to share their comments about the candidates," Citizen Engagement Coordinator Courtney Flynn said in the press release. 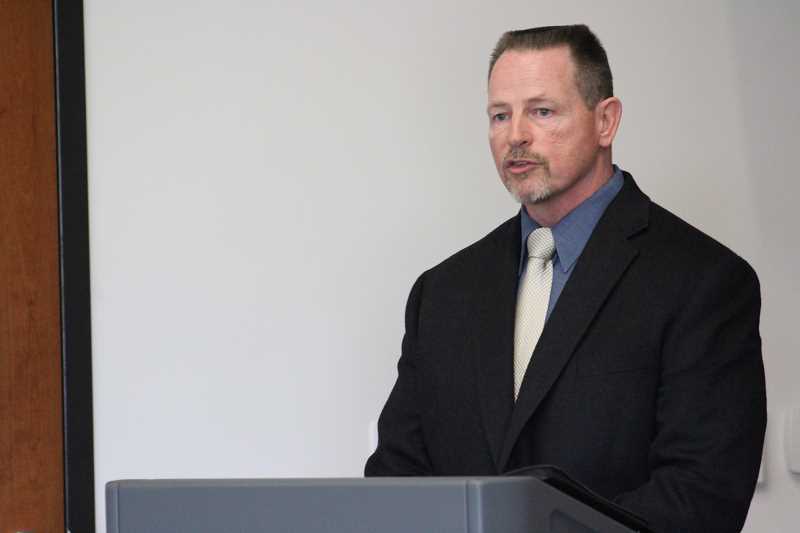 At that public reception, Kruger said he retired from the Portland Police Bureau early due to family health matters, and that he was eager to return to policing. As a lieutenant for the Bureau's Central District, Kruger was the adjutant for two chiefs of police while supervising the communications unit and serving as a business liaison. During his career, he also oversaw the detective division and units focused on homicide, felony assault, bias crimes, cold cases and missing persons. As a sergeant, he was team leader for the Special Emergency Reaction Team (SERT). The press release also noted that Kruger has presented at Portland City Council meetings, attended meetings with its mayor and represented the Bureau in meetings with the city manager. He received the Bureau's Distinguished Service Medal for his career. "I think it was a great pick," West Linn Police Captain and acting chief Neil Hennelly said. "The top two candidates, either one of them would have done exceptionally well here. They were both very different — I think with Terry's ties to the community, that kind of gave him a leg up." Hennelly is preparing to retire at the end of June, but said he will be working with Kruger as part of the transition process and is not sure how long that will take. "I think his style will work really well with what we need," Hennelly said. "He seems pretty laid back, very collaborative — he listens. He's a calming presence, he's not a hothead." Details on a swearing-in ceremony will be announced at a later date, the City said.